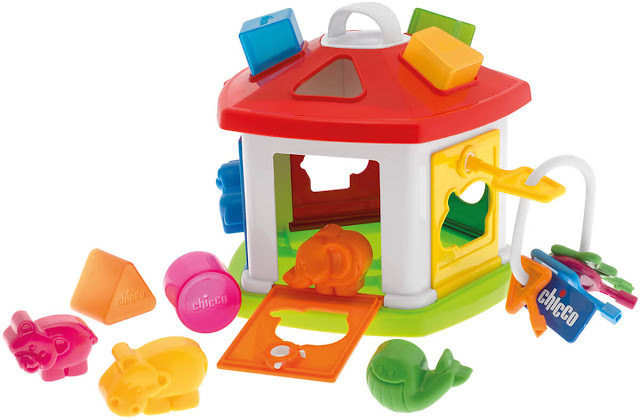 This shape sorting nursery toy is a colourful, small cottage suitable for little ones from 12 months. It comes with 5 animal characters and 5 shapes along with a set of chunky keys. The animal cottage comes complete with a useful carry handle and the animal characters, shapes and set of keys can be stored in the cottage when not being played. By matching up colours and shapes correctly little ones can insert 5 animal characters through the individual doors and slot in 5 shapes through the holes in the roof. Little ones can then lift the lid or use the correct key to open the doors and empty out all the contents to start over again for more sorting fun. 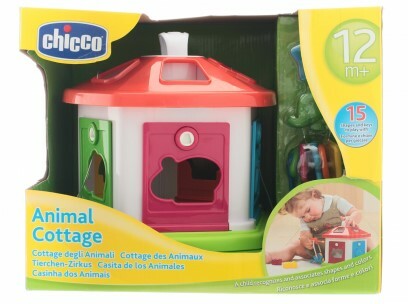 The Chicco animal cottage shape sorter from Kiddies Kingdom is great quality and durable for lots of fun play. The cottage, animals and shapes are colourful and eye-catching which not only encourages little ones to play but also helps them learn their colours whilst having fun. The animals and shapes are also chunky which is perfect for little hands to hold and handle. The chunky keys are also fun for little ones as they rattle. This is a great interactive toy to help little ones recognise shapes, colours and animals and improve their co-ordination and logical skills. The BubaBloon is an innovative balloon cover that makes the joy of balloon play simple, safe and fun. The clever product transforms a normal balloon into a durable, washable, reusable balloon ball toy. For endless hours of balloon fun in a safe way you insert a deflated, standard size balloon into the BubaBloon, blow up and tie the balloon as normal, tuck the knot inside the specially designed flap and then play, play and play some more! As the balloon is fully enclosed within our fabric cover it is makes balloon play safe for latex allergy sufferers, any loud pops of balloon bursting are muffled and made less frightening and the cover contains any pieces of balloon away from little hands and mouths. BubaBloon Colour In Travel - comes with washable markers so you can colour in the travel themed print again and again. 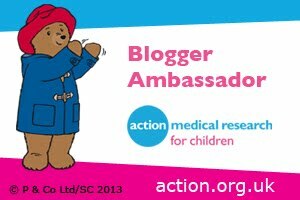 The multi-award winning Gummee Glove is a great gift for little ones as it is designed to help little ones help themselves. The mitten is made to fit babies from 3 months. It's perfect for youngsters who are too young to hold a teething toy on their own. No more problems with toys falling on the floor or out of the pushchair. The Glove attaches to baby's hand with a velcro closure at the wrist. 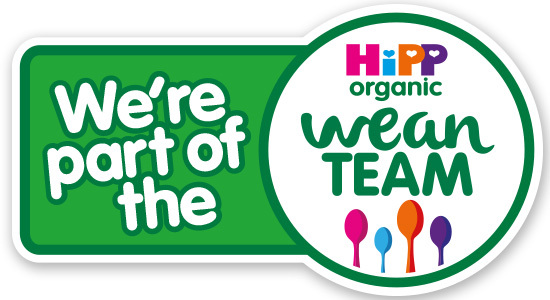 It has colourful, biteable side tabs, teething tabs with raised silicone dots to massage tiny gums, and a detachable heart-shaped food grade silicone teething ring that can be heat-sterilised or refrigerated. The Gummee Glove is machine-washable in the handy laundry bag that comes with every purchase, this doubles up as a travel bag. 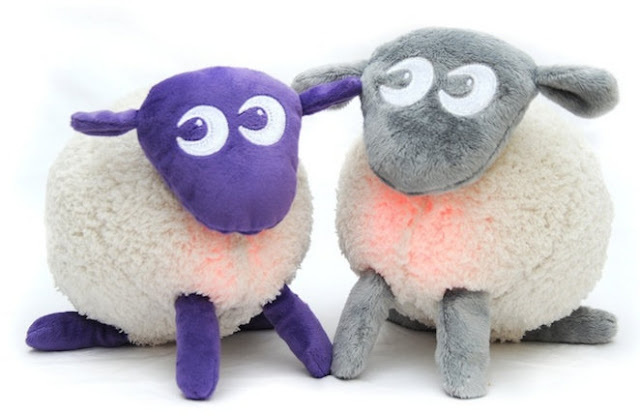 The classic ewan the dream sheep® emits soothing sounds at a low base frequency and a calming pink warm glow, which when combined, help settle babies and toddlers into a peaceful sleep. The heartbeat and womb sounds are actual recordings, not computer generated and these have been proven to have a calming effect with even the most unsettled baby. Vacuum cleaner, rain and harp recordings together with the womb sequence provide 4 different calming 'pink noise' sound tracks to choose from and all are combined with mum's resting heartbeat to provide extra reassurance. The sounds, which play for 20 minutes, are all recorded at the low base frequency the baby can predominantly hear when in the womb - 125Hz pink noise range - which is why they work so well at settling 'little ones' off to sleep. The multi-award winning sleep aid is available in original Purple of the new Grey fleece. A deluxe version is also available with additional features. * The Very Lazy Ladybird Storybook Toy Collection - a best-selling storybook that comes in a presentation box with a very cute, and very lazy Ladybird cuddly toy. 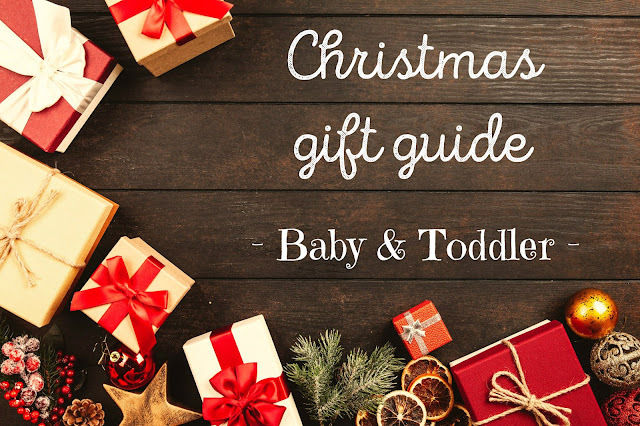 Renowned baby swimming lessons provider Water Babies have a brilliant Water Babies shop filled with lots of brilliant products ideal for Christmas that help make being in the water and swimming more fun for little ones. As well as swimming gear they also sell Water Babies poncho and baby towels, the colourful Water Babies Tiger Bath Toy and award winning Bubba water toys which include Water Babies Bubba Bath Toy and Water Babies Bath Book 1-2-3 Bubba in the Sea. One of our favourite water and bath toys from Water Babies is their Swim Balls. 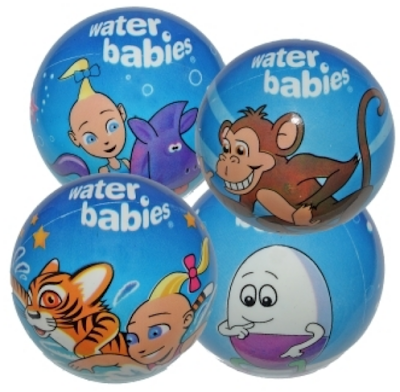 The Water Babies Swim Balls set of four balls comes in different designs featuring fun Water Babies characters. This is ideal for little ones who have lessons with Water Babies as they will recognise the characters and be able to recreate the fun of Water Babies lessons at home or in the pool. But those who do not have Water Babies lessons can also enjoy the swim balls too. The colourful balls designed in the UK and made in Spain are perfect water fun for all. Splash in the bath or pool with the Water Babies friends, roaring like a tiger and blowing bubbles at the cheeky monkey which helps improve confidence in water. The swim balls which float on water offer interactive play in water or on dry land. Reaching out and pushing the balls underwater helps develop hand eye coordination and encourages little ones to start the front crawl arm movement. This gorgeous pram handmade in Yorkshire is part of Kiddies Kingdom’s Silver Cross range. 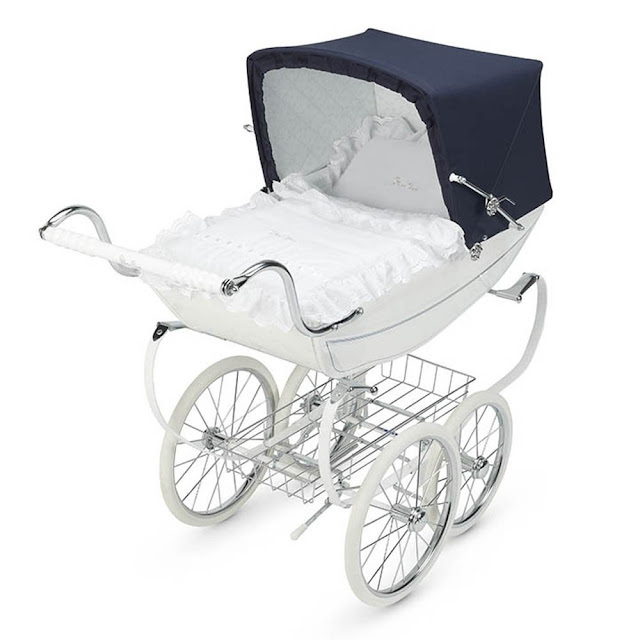 The Oberon pram features the original classic doll’s pram design and is built with the finest materials and meticulous attention to detail. The exquisite design features a high gloss finish with beautiful hand-painted fine line detail, chrome spoked wheels and stunning polished chrome metalwork in traditional Navy. The Oberon has a mechanical, easy to operate brake system and C-spring suspension matching those of the full-size Balmoral pram. It comes with a fully lined apron that matches the adjustable hood. The pram is ideal for encouraging imaginative role-play and developing nurturing skills. 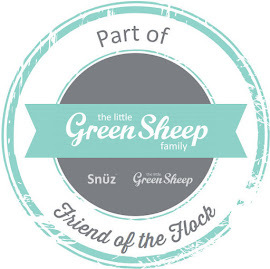 It is a generous gift any little one would love for using with cherished dolls. BabyBoo, a treasure trove of beautiful baby products, have a gorgeous line of SnuggleBoo Sleepsuits that are perfect for snuggling in during the winter months. The sleepsuits are available in three sizes and are suitable from 6 months to to 4 years of age and are available from 1 tog. The lovely sleepsuits feature a zip fastening for quick and easy use. They also have an ingenious feature of detachable sleeves - that can be attached using nickel free poppers - making the sleepsuits perfect for use all year round. The smaller SnuggleBoo sleepsuits also include a harness flap which is great for when your on-the-go; just pop your little one in the buggy/car seat, put the harness through and you’re done! 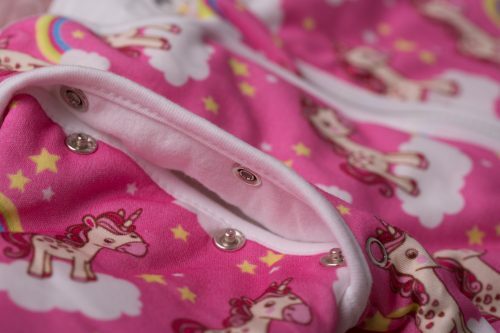 They come in a range of beautiful prints of unicorns and rainbows, moons and stars, sleepy clouds and superhero. BabyBoo uses GOTS & Oekotex certified organic cotton for their lightweight SnuggleBoo sleepsuits which makes for a soft and cosy sleepsuit for little ones. 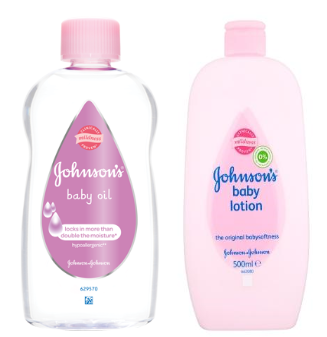 Perfect for babies delicate skin and anyone with sensitive skin, Johnson’s® Baby are promoting two of their renowned products as ideal to gift as a pamper kit - JOHNSON'S® Baby Oil and JOHNSON’S® Baby Lotion. JOHNSON'S® Baby Oil is hypoallergenic and dermatologically tested. It is gentle on fragile and delicate skin. It creates a light protective barrier on skin and locks in moisture for baby soft and glowing skin. The baby oil is perfect for baby massage which boasts many benefits for baby. JOHNSON’S® Baby Lotion is clinically proven to be mild, gentle and hypoallergenic. It is perfect for moisturising and cleansing delicate skin, leaving skin feeling soft and smooth. It has an unmistakable babyfresh smell and helps skin feel babysoft on baby and grown-up skin. This Skip Hop Explore & More Jumpscape Foldaway jumper available from Kiddies Kingdom is designed for little ones from 4 months. The cute and colourful jumper features 20+ developmental activities. 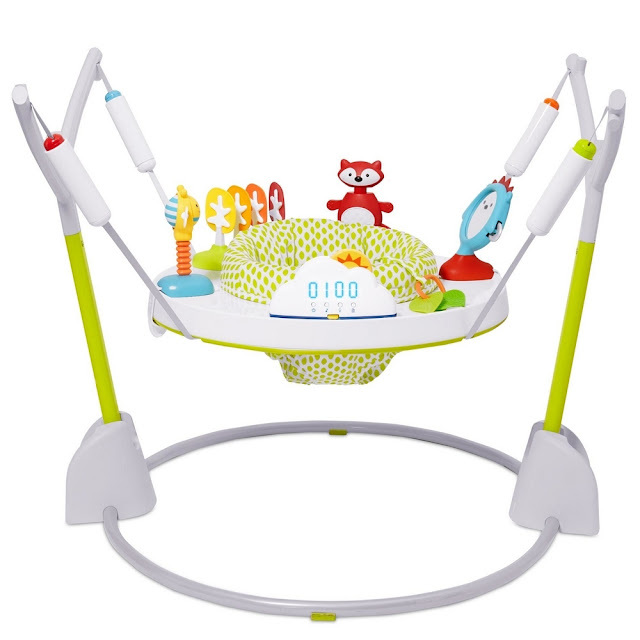 It features a light-up cloud bounce counter to track baby's jumps that rewards baby with lights and music as they jump. Once baby hits the 100 jumps the jumper celebrates the milestone by breaking into applause. It also makes for fun sound effects when button is pushed. It has a 360-degree rotating seat so baby can sit, swivel and bounce for maximum exploration. 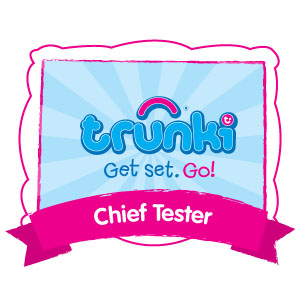 Clip-on, movable toys encourage development and allow for customized play, it has - leaf teethers, swaying trees, jumping jack fox, hedgehog mirror with tambourines on each side and a spinning bee which rattles and wobbles. The jumper is adjustable to five heights so that it grows with baby. It also features parent reminder at 10 and 20 minutes to track usage. When playtime is done it easily folds flat for storage and features a strap to secure jumper when folded making it easy to move safely.